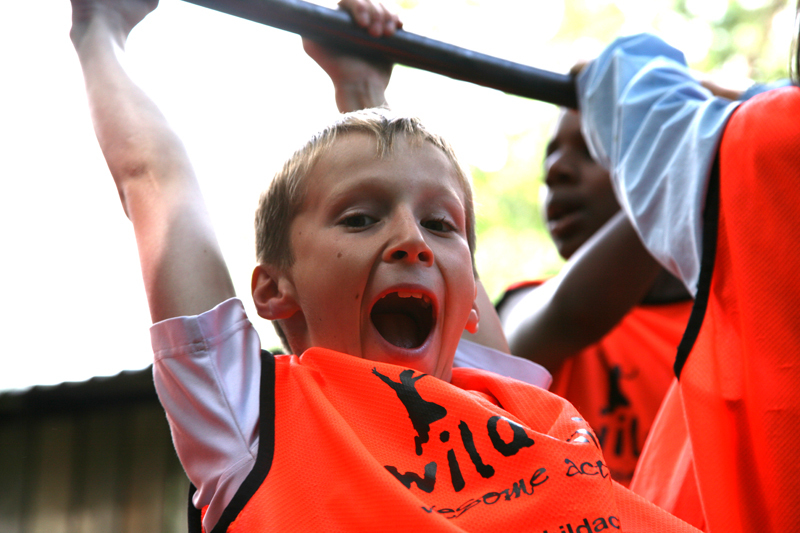 At Wildchild we introduce children of all abilities and ages to a world of exciting and challenging activities. Through our unique and adventurous activities we aim to inspire in children a long term love of adventure and appreciation for the natural world we live in. For over ten years our birthday parties and holiday activities have introduced thousands of children of all ages in and around Hertfordshire, to exciting new skills and innovative adventures that encourage a love and appreciation for the great outdoors. Our parties combine imaginative storytelling with fun and adventurous outdoor activities, tailored to a range of ages and abilities. Our broad spectrum of themes and activities is designed to appeal to children that may or may not love traditional sports activities, but definitely enjoy being outdoors and love to have fun! Our holiday activities offer children the opportunity to spend their summer making memories filled with outdoor fun and adventure. Incorporating creative and practical skills building sessions and adrenalin-fuelled outdoor adventure activities, our holiday camps guarantee an exciting and active day of outdoor fun and games, making friends and stretching imaginations, away from screens, phones and tablets! Our unique, wide-ranging sport, adventure, outdoor and creative activities allow children to uncover their own strengths and talents, improve communication and teamwork skills and develop a confidence in their own abilities. It’s this personal development and memory building that differentiates Wildchild from other holiday activity providers, and ensures children’s experiences stay with them long after the summer is over. Through our long term work delivering outdoor adventure curriculum enrichment programmes and after school clubs in local schools, we learned firsthand the importance of outdoor education in improving learning and behaviour in the classroom. Our Wildchild Adventure programmes were developed in partnership with schools, utilising the relationships developed with local outdoor activity centres, to offer good quality residential trips and outdoor adventure days in Hertfordshire for schools and youth groups. Since the launch of Wildchild Adventure’s residential trips in 2015, we have welcomed thousands of Primary and Secondary pupils and young people, with groups enjoying our traditional canvas bell tented village, outdoor adventure activities, bushcraft sessions and teambuilding experiences. Our aim for Wildchild Adventures is to offer a real outdoor adventure experience that is affordable and inclusive for schools and parents. Based in Hertfordshire, we’re easy to reach for schools in and around London, and across the South East, reducing the time and cost of travel, thereby making an invaluable outdoor residential accessible for the inner city schools that will most benefit providing the natural outdoor learning environment children may not have access to day-to-day. Whether it’s through our birthday parties, holiday activities or group residential trips, Wildchild’s overriding mission is to make the natural outdoor environment a fun and exciting place for children to be, inviting them to share in the joy of spending time outside, and the thrill of taking on new adventures. We hope to help you find your Wildchild adventure very soon.